Spring is our first season in Afghanistan and everyone awaits its arrival by buying fruits and new clothing and spring-cleaning the house to welcome the New Year. I love spring: it’s like a messenger of love, joy, peace, and growth. Persian poets have composed many poems in praise of spring. Flowers bloom, the birds begin to sing, everything is green. It rains so the rivers are full and flowing. Fruits come to market, animals come out of hibernation, and the the trees turn green. Also included are mahi (fish) to symbolize life and shirini (sweets) to symbolize spreading the sweetness. Also there is a mirror to reflect the light of wisdom and creation and a Quran to signify prayer. We sit around the table and pray while my father reads the holy Quran. When I see the first spring, I remember God’s mercy and love. 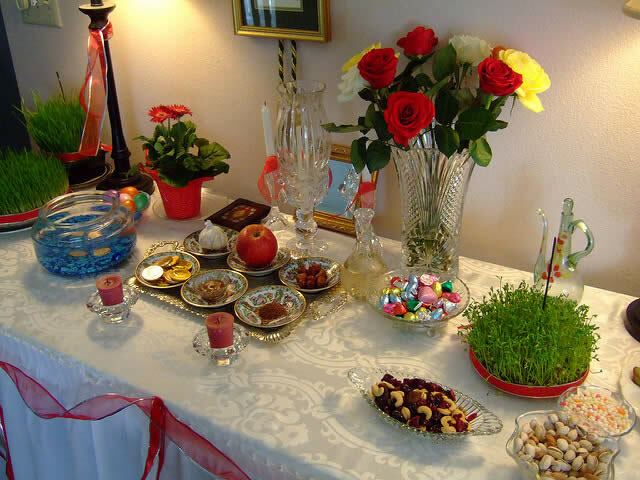 Spring is the messenger of peace, and I hope that with the coming of spring God brings peace in our country.